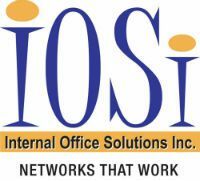 Internal Office Solutions Inc. (IOSi) was founded in 1998, formed as a private Joint-Stock Company in February 2001 in Ottawa, Ontario Canada, and since then holds leading positions in the Canadian market for systems integration. IOSi develops practical computing solutions and implements projects of countrywide scale. IOSi creates information systems where practical experience of system integration, state-of-the-art technologies and the most up-to-date hardware and software products are consolidated. Our comprehensive approach to project implementation, utilization of the most reliable equipment and software produced by leaders of the North American computer market, as well as the professionalism of our Certified staff enables IOSi to succeed in a competitive marketplace. IOSi became the first WatchGuard Certified Training Partner (WCTP) in Canada, and the first Partner in Canada to reach the ‘Expert Partner' level. Six years later, IOSi is still the only WCTP in Canada which provides training in muliple provinces, and the only company that has multiple WatchGuard Certified Trainers on staff. Why are the dental and medical community, as well as the private and public sector doing business with IOSi? It is the commitment of IOSi to maintain relations of mutual confidence and partnership with its customers, and this contributes to prolongation and further extension of this cooperation. IOSi only offers technical Certified Professionals and Name Brand computing solutions to ensure your network environment is backed by reputable vendors with large support networks. Since our inception, IOSi has maintained financial stability with a proven track record. In 2016, our growth exceeded 20% over the previous year, and with great figures of annual turnover, official conclusions of independent financial reviews made yearly by KPMG, as well as positive annual balances — all these guarantee the stability and reliability of IOSi. IOSi continuously controls level of services that our partners provide in their regions, and renders them necessary technical and information support. As a founding member of IOSi, Stephan Ellis began his career in Infromation Technology at Algonquin College in 1993. Over the years, Mr. Ellis has held various positions of increasing responsibility within the IT/Telecom industry through Stentor (Bell), SHL Systemhouse, EDS Canada, and HP. Mr. Ellis graduated from Algonquin College in Ottawa with a Diploma in Records Operations in 1992. He subsequently attended vendor training programs where he obtained industry leading certifications from Microsoft, Oracle (formerly Sun Microsystem), Vmware, Symantec, and WatchGuard. Through his career, Mr. Ellis has been actively involved in various community organization including CHEO, Sunshine Dream for Kids, The Canadian Paraplegic Association. Invest in your IT infrastructure with an individual who has built a reputation on personal service: Moravka Ellis. A highly dedicated professional and founding member of IOSi, Moravka has been meeting her clients' specific account needs for over 15 years. Mrs. Ellis graduated from Career Canada College where she graduated as a Dental Assistant in 1994 and began her career in the healthcare industry. Mrs. Ellis has held various positions within the industry which lead to the creation of IOSi's healthcare support vertical. Céline Petrachuk has worked for IOSi since 2001. Prior to her appointment of Office Coordinator, Mrs. Petrachuk was an Account Representative, responsible for select clients. As the 'voice' of IOSi, Mrs. Petrachuk has over 25 years of customer care experience. Michael Latreille has worked for IOSi since 2003. Prior to his appointment to the position of IT Engineer, Mr. Latreille supported IOSi clientele as a IT consultant in 2001. An Entrepreneur in his own right, Mr. Latreille understands the importance of customer service. Mr. Latreille holds current industry standard certifications; MCITP for Server Administration, WCSP, CPSA. Nadeem joined the IOSi team in the spring of 2008 and brings more than 20 years of experience as a technologist. As IT Manager, Nadeem oversees all branches of IOSi's IT infrastructure, support, and project development verticals. Nadeem oversees all technical operations and manages IOSi's technical services team. Nadeem's previous appointments include positions with DND and the Canadian Forces, in which Nadeem worked in the field, training soldiers on mobile technology. Nadeem holds current industry standard certifications in MCP, MCTS, WSCP, VTSP, MCSA, A+, Server+ and Network+. Meghan Dadswell joined the IOSi team in the spring of 2016. Meghan comes from a background of real estate and brings more than 15 years’ experience in client service. Meghan represents IOSi as Client Service Coordinator, providing personalized executive liaison between your business and ours. Meghan offers a single point of contact for all sales, support and business relations; including technical dispatch and technical triage. Eric joined the IOSi team in the winter of 2012. Eric brings more than 15 years of technical experience in networking, servers and hardware integration. As Infrastructure Lead, Eric designs, integrates and administers both physical and virtual network infrastructure. Eric launched a computer repair business in 2003 and later went on to accept positions in computer systems with the Canadian Forces and DND. Eric enjoys the outdoors, camping with friends, and photography. Eric holds current industry standard certifications in MCITP, MCSA, MCTS, MCPS and VCA-DCV. Ogun joined the IOSi team in 2018. With many years of professional experience in the IT industry, Oguns supports IOSi as an IT Engineer. Ogun works with businesses to build IT solutions from the ground up. With his advanced technical knowledge and experience, Ogun is your single point of contact throughout all phases of the project. As a hardworking, enthusiastic, and goal-focused individual; Ogun loves a good challenge! Ogun holds a variety of current industry standard certifications. Doug joined the IOSi team in November of 2017, and brings an excellent can-do attitude and friendly face. He is a natural born problem solver, a “stay until the job is done” kind of guy, and brings a unique blend of technical knowledge and customer service wherever he goes. With over 5 years technical experience, you are in good hands with Doug. Doug has committed to continuing his education and is currently working to attain several industry standard certifications. Technical staff of IOSi has been trained at educational centers of hardware and software vendors and have received appropriate diplomas and certificates. This ensures a high level and competitiveness of proposed technical solutions for creation of modern information systems. It is IOSi's policy to make large investments in education of its employees in order to continuously advance their qualification and skills. Our nine company staff possess over 20 certificates and diplomas from vendors including: Certified Network Professional from Cisco Systems; Microsoft Certified Systems Engineer, Microsoft Certified Professional from Microsoft, WatchGuard Certified Professional, WatchGuard Certified Trainer from WatchGuard Technologies, as well as many more.